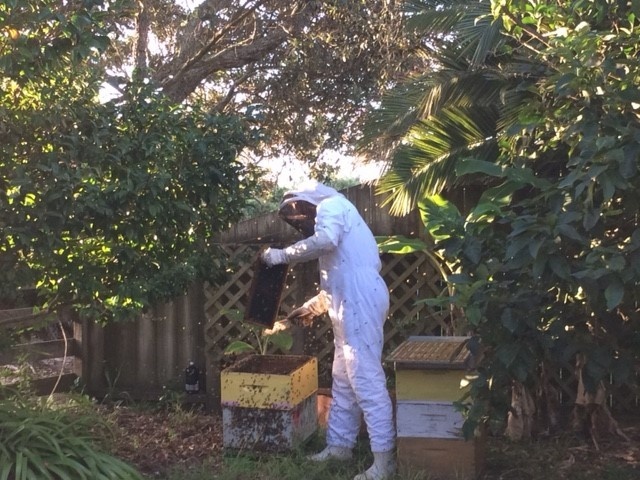 Our bee hives finally had honey taken off yesterday - much later than in previous years. 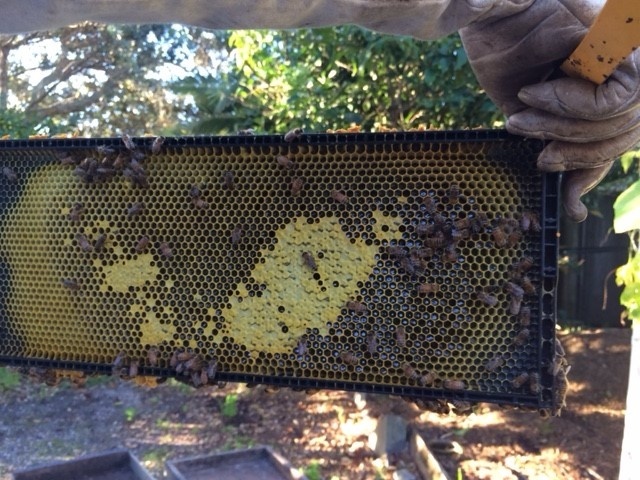 Rick our bee keeper said it was most likely due to the weather and the amount of sunshine - this last few months there has been much less sunshine than in previous summers. 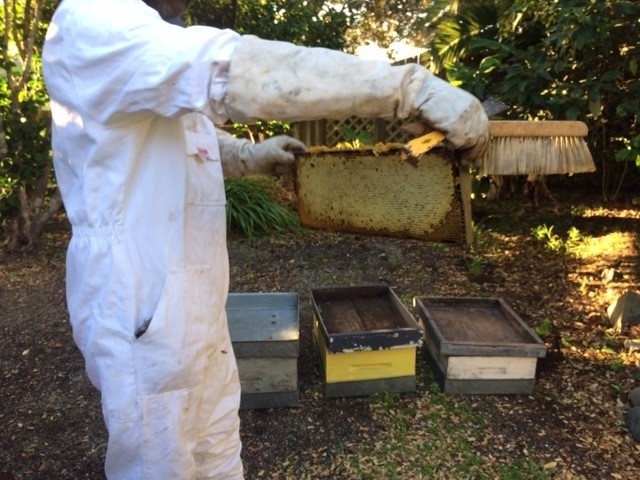 When Rick delivers the honey from the hives it will be interesting to see the colour- will it be light or dark or somewhere in between. 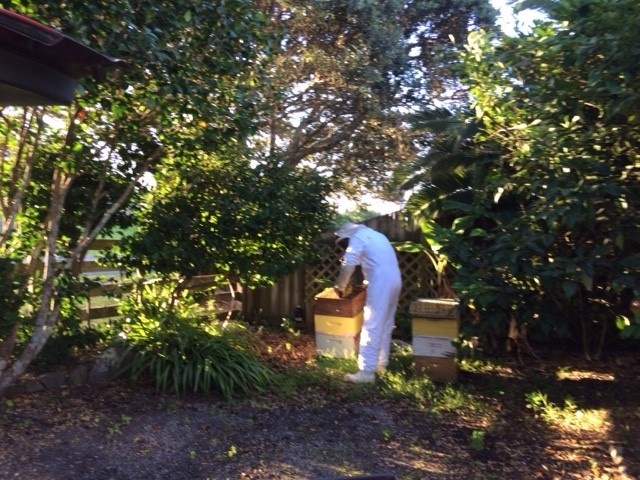 Will it taste of Pohutakawa like last year as we are surrounded by them?? 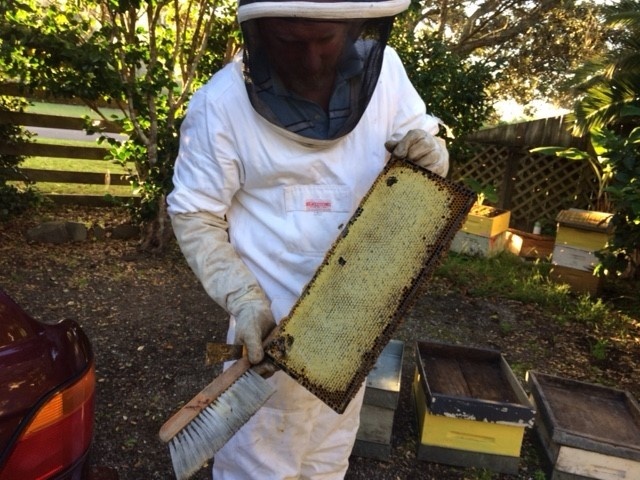 Will both hives taste different as the bees certainly were and maybe they foraged for pollen in different places - one hive was certainly more active than the other.